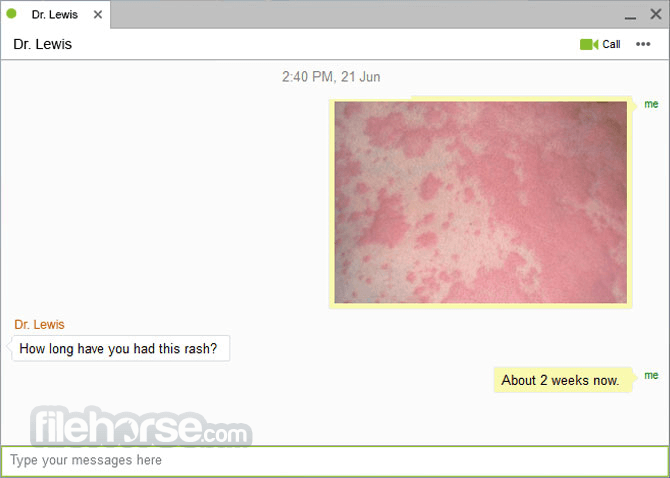 VSee Messenger is a HIPAA Compliant Video Call and Telemedicine Messenger Software for Windows PC! Specifically designed for the healthcare user — simple, secure video, text chat, document-sharing, peripheral streaming, & more! Secure health care communications for provider-to-provider consults and for seeing patients in the home. Trusted By 1000+ Telemedicine Companies! Most configurable online clinics to reduce your learning curve and get the most efficient fit for your telehealth practice. Fast Integration Into Any Platform. For devs – build your own apps fast with rich video communication & telehealth workflow SDKs or have us do it for you. Download VSee Messenger for Windows PC today! 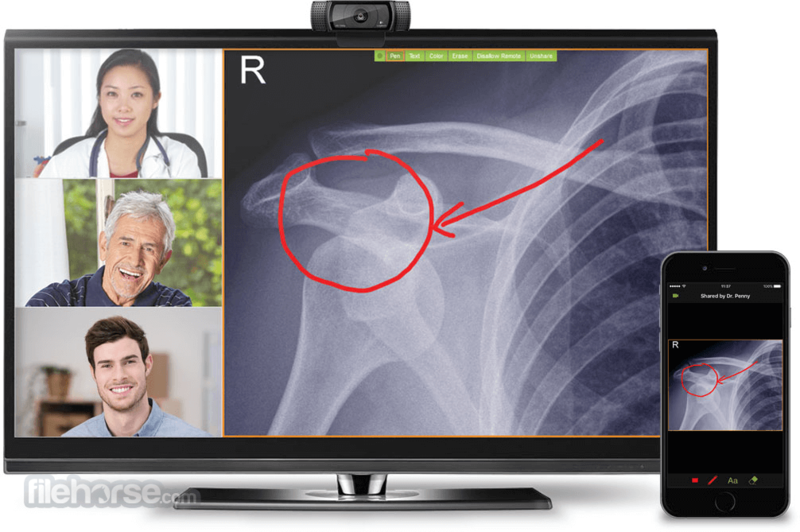 Encrypted with military-grade 256-bit AES encryption, VSee Messenger for Windows allows providers to securely video chat with patients in their homes even over 3G cellular networks. Includes ability to record locally. Instantly share and mark up lab results, CT scans, documents, and EHR records in real-time just as though you were working in person. Take a snapshot and securely send it through individual or group chats. VSee for PC is the only system that allows you to use your existing laptop or computer to stream USB peripheral images (otoscope, ultrasound, EKG, etc.) while still seeing patients’ faces. Remote physicians can control a Pan-Tilt-Zoom (PTZ) camera at the patient’s end to get clear close-ups for telestroke and remote exams. Who’s Using VSee HIPAA Messenger? Peripheral streaming for remote ultrasound and PTZ camera for context awareness. Peripheral streaming with multiple cameras for supporting an in-house tele-NICU. Messenger Pro for genetic counseling at home for clients & remote family. Messenger Pro for provider-to-provider oncology/radiology consultations.